Connect to your database from anywhere, anytime, using a simple internet connection. Customize access rights by user and distribute roles to every users to optimize collaborative work between your teams. At the end of the training, you will obtain independence to make the system live according to your needs. 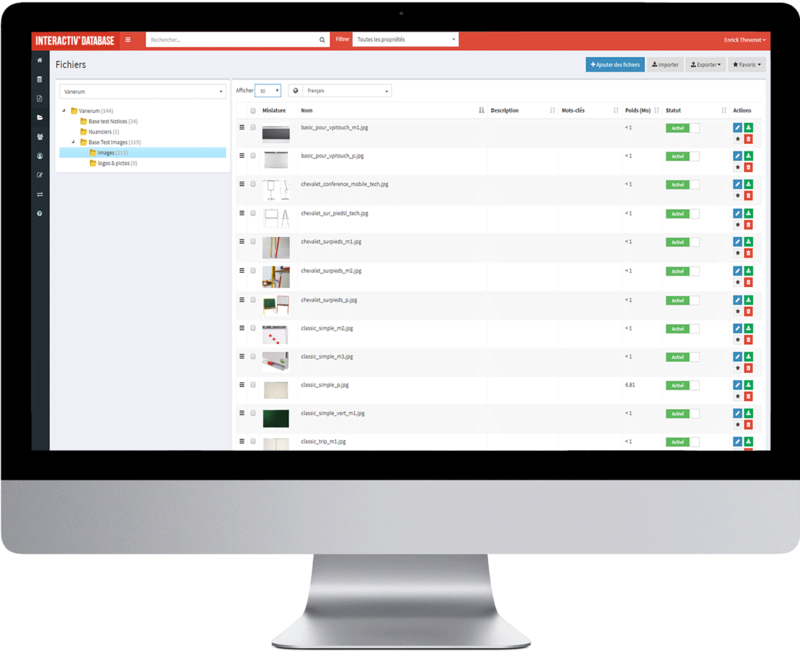 Structure, organize and retrieve your product data faster, and speed up changes. 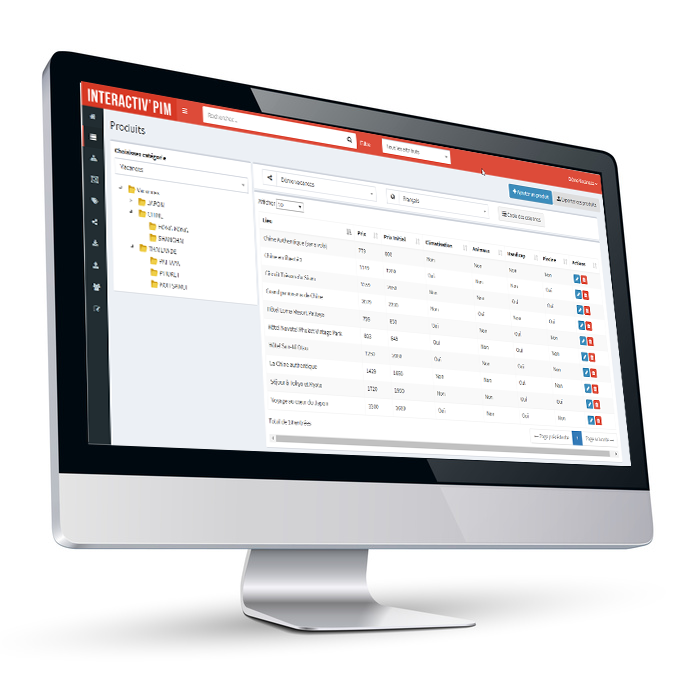 Centralize your product data! Each piece of information will be saved in a single place, no need to multiply Excel data sources. 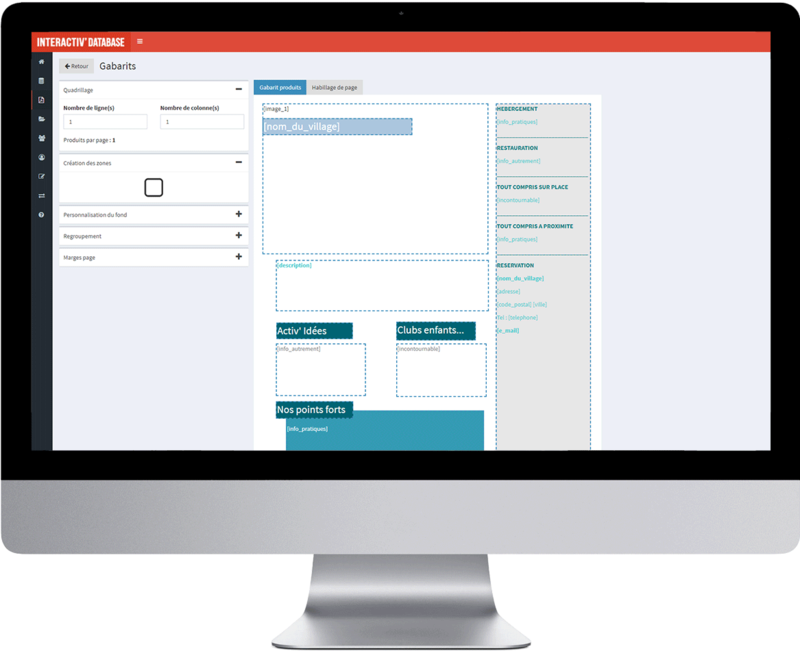 Interactiv ‘PIM (Product Information Management) brings together all the information of your products to keep them up-to-date and available. Define railroads for your broadcasts (web, paper …). Give different access rights according to user profiles.